There is a little cooking to do since the cauliflower and almonds get baked in the oven. The almonds get roasted and the cauliflower gets cooked, making it an almost meaty texture. This gives the salad texture and makes it so filling. Making your own dressing is super simple. 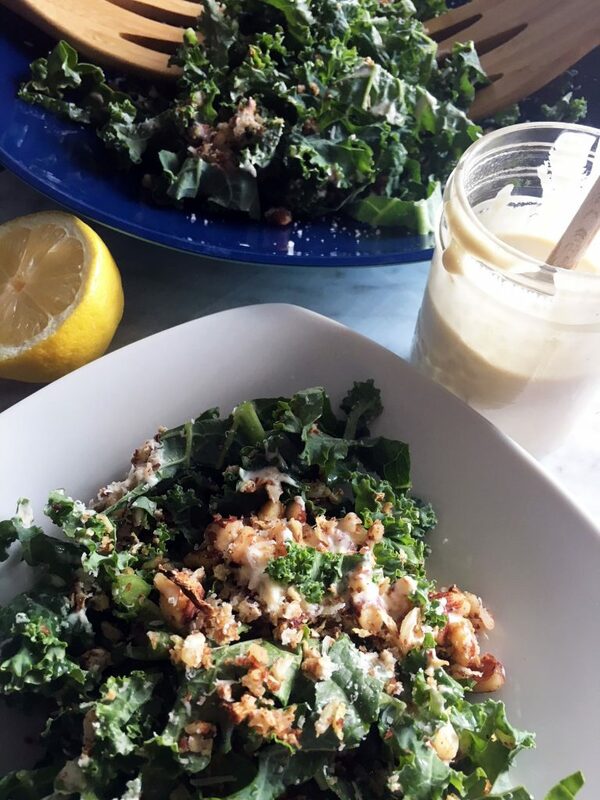 The lemon tahini dressing has become a fave around here. The tahini makes this dressing creamy while the lemon adds a burst of sunshine. Maple syrup is used to cut the bitterness of the tahini, giving it the perfect amount of sweet. This dressing can be used on anything really and is oh so good. This salad is perfect as a side or even a main. If you’re looking to add some meat, grilled chicken would go so well! Place the chopped cauliflower and almonds on a sheet pan. Drizzle with oil, salt and pepper and bake at 350 degrees for 30 minutes. In a blender, combine the tahini, water, garlic, lemon juice and maple syrup. 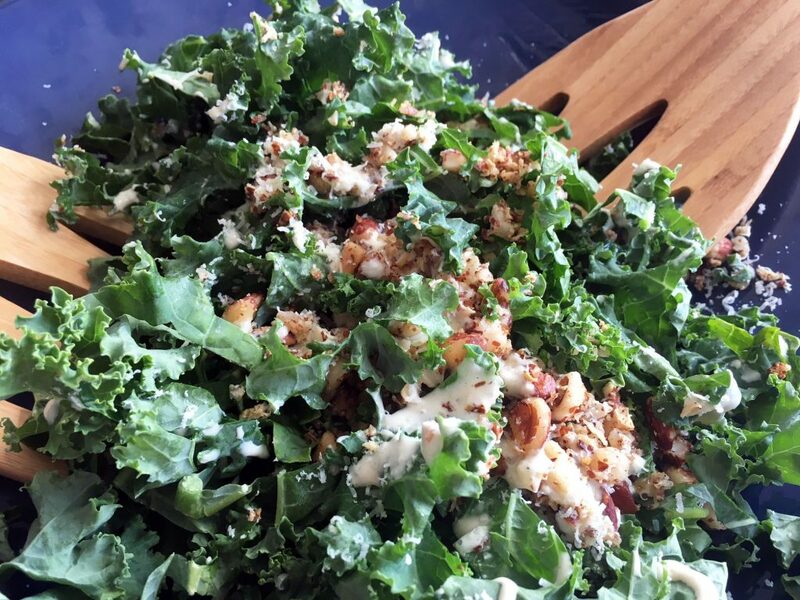 In a large bowl, combine chopped kale with the cauliflower and almonds. Top with parmesan and enjoy. 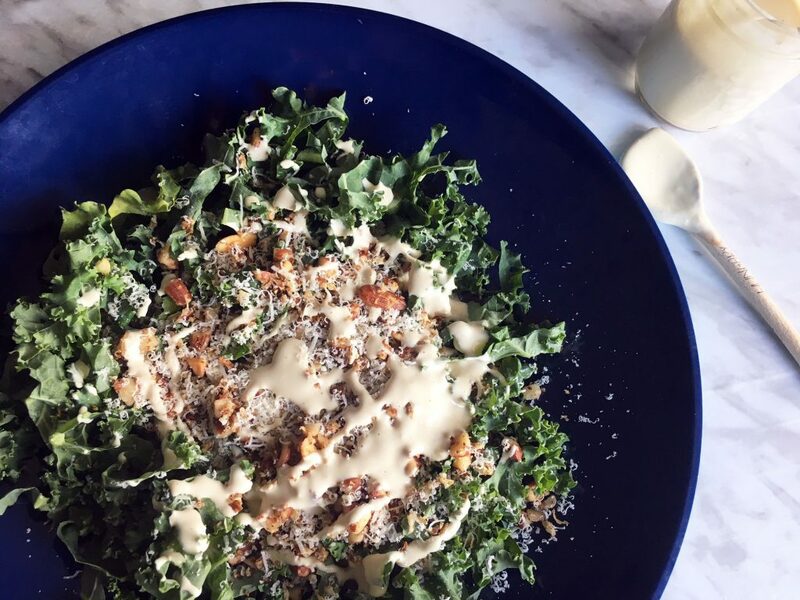 Your recipe for Kale and Cauliflower Salad with Lemon Tahini Dressing sounds so very, very good, Fareen! It looks beautiful too. I am a huge fan of hearty salads such as this one. I would have it on its own but I also like your suggestion of serving it with chicken for the meat-lovers in the crowd. I think I will try roasting the kale in the oven as well since I seem to digest cooked vegetables better than raw - and I do love crispy kale :) What do you think? I am looking forward to trying your recipe very soon - thank you so much for sharing.